My mission as Santa is to bring Love, Hope and Joy to those in need. My Santa presentation is carried out in custom-made Santa clothes and gear, from my boots to my hat and everything in between. Since 2010, I have served as Santa for two small Texas cities at their annual Christmas parades. Each year, I also make appearances during the Christmas season as Santa for Cook Children’s Medical Center in Fort Worth. 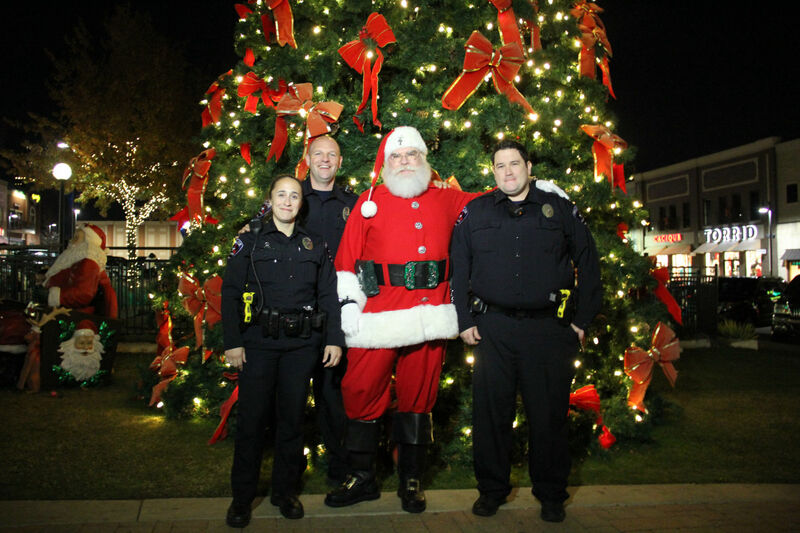 Beginning in 2014, I have the honor of serving about 1,200 children each year through the Arlington, Texas, Santa Cops program. I have completed a background check and volunteer training for Cook Children’s Medical Center in Fort Worth and a separate background check and volunteer training for the Fort Worth Catholic Diocese. As a member in good standing of Lone Star Santas, I also obtain an annual background check. I also frequently work in "civilian clothes" as a volunteer Child Life worker for Cook Children’s Medical Center. I do not take income from my appearances as Santa, but I may require that you agree to make a donation to Cook Children’s Medical Center or to another mutually agreed upon charity. The amount of the donation will depend on the service I provide to you. I have proudly signed and strive to adhere to the Santa Claus Oath. I am a member of the Mystic Order of Traditional Santas, a member of the Lone Star Santas, and I enjoy participating in the online Santa Community at ClausNet. When I work under an arrangement with you, I am doing so as your Santa, and with the understanding that my presentation of Santa will be a positive portrayal of a traditional Santa.